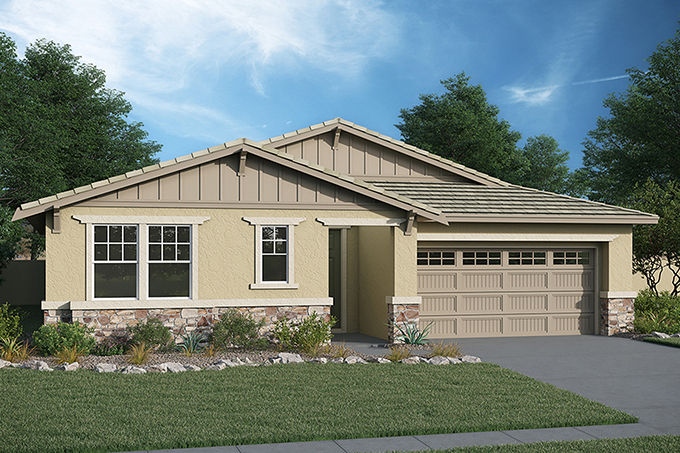 Coming home to Spencer’s Crossing in Murrieta refers to so much more than welcoming neighborhoods and beautiful home designs – it extends to an unbeatable lifestyle that never grows old. Residents have access to parks, trails and exclusive recreational amenities open all year-round, and can join in on enjoyable community gatherings that bring neighbors together and inspire meaningful family time. The month of April is filled with some of the best community events of the year, including the long-awaited Snow Day happening at The Oasis on April 13 from 10 a.m. to 2 p.m. with real snow, sledding slopes and a delicious hot cocoa bar. On April 27 at 10 a.m., join us for the highly anticipated Grand Opening for Palmetto by Richmond American Homes, and the fun continues with the popular Food Truck Round-Up at The Oasis, where visitors can enjoy a variety of food truck fare between noon and 3 p.m.
Head to any of these exciting Spencer’s Crossing events to experience the master-planned community’s incredible lifestyle, and be sure to tour eight home collections currently selling as well as the new Palmetto neighborhood. For immediate details, go to SpencersCrossing.com. Spencer’s Crossing’s prime Murrieta location is more convenient than ever due to the new Clinton Keith Road extension, which drastically reduces commute time and leads directly to the community. The prime setting also provides easy access to nearby shopping centers, excellent restaurants, challenging golf courses and recreation, while Temecula’s enchanting wineries and other attractions are just a short drive from home. Homeowners with children enjoy access to a quality education at highly regarded school districts that include Murrieta Valley Unified School District, Menifee Union and Perris Union. Spencer’s Crossing extends across 600 naturally beautiful acres, creating a new kind of community designed for genuine family living with a dynamic environment brimming with recreation activities for all ages. Residents will find miles of meandering trails to enjoy, and great resort-style amenities, which include multiple pools, firepits, BBQs, terraced seating and more at The Oasis and a 3,500 square-foot recreation center with a Jr. Olympic swimming pool, children’s wading pool, spa, BBQ area, shade structures and a state of the art playground at The Club. Impressive sports and leisure parks are also on-site, including the 11.5-acre Sports Park with lighted soccer and baseball fields, a basketball court, tot lots and a concession stand, as well as the 14-acre Heroes Park and 5+-acre Victory Park. To visit Spencer’s Crossing from Temecula, take the I-15 North, exit Clinton Keith Road and head east past I-215 Freeway. Turn left on Leon Road, left on Baxter Road and follow the neighborhood signs. From Riverside, take I-15 South, exit Clinton Keith Road and head east past I-215 Freeway. Turn left on Leon Road, left on Baxter Road and follow the neighborhood signs.